Time for the Mogganaut to refuel? A cold, wet day at Vicarage Road marked the end of the season for Middlesbrough. A season that had started so brightly ended in the bitter disappointment of missing out on the playoffs. Last Saturday’s 2-1 loss to Watford proved immaterial as playoff rivals Cardiff came from behind to defeat Crystal Palace and claim the final place in the Championship playoffs. In truth the race for 6th should never have gone to the last day as Boro should have sewn up a playoff place much earlier in the season. A lack of goals, particularly at home, proved to be the team’s main downfall as they scored just 22 goals in the 23 league games at the Riverside. Home draws against the likes of Portsmouth, Coventry, Peterborough, Bristol City and Doncaster simply isn’t good enough for a team chasing promotion to the Premier League. Had Boro turned just three of those draws into wins then they would have finished comfortably inside the top 6. But it wasn’t to be. Injuries to key players at a key time in the season also proved pivotal with Rhys Williams, Matthew Bates, Nicky Bailey, Scott McDonald, Merouane Zemmama and Faris Haroun all missing large chunks of the season with injuries. The most significant of these was Rhys Williams who injured ankle ligaments in the defeat to Leeds on the 11th March, this sparked a run of just 1 win in 10 games until Williams returned in the penultimate game of the season against Southampton. A game that Middlesbrough won against the eventual promotion winners. Williams’s injury also coincided with a serious knee ligament injury to club captain Matthew Bates who missed the last 7 games of the campaign. This left Boro woefully short at the back with Mowbray having to recall Stephen McManus from a season long loan at strugglers Bristol City. With both Williams and Bates ruled out, Boro really struggled defensively and only kept 2 clean sheets in the final 12 games of the season. 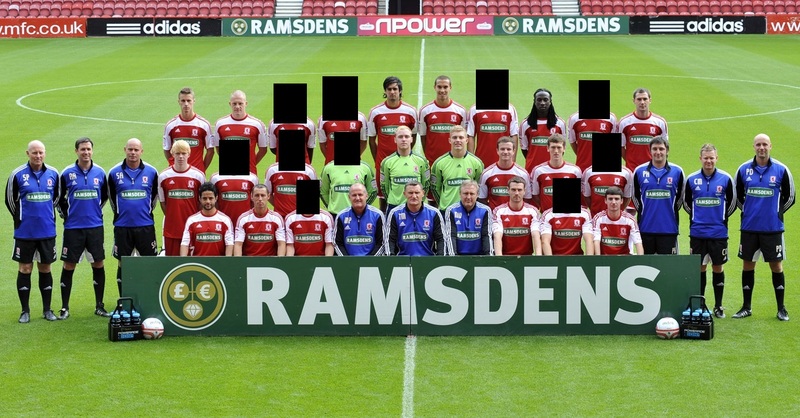 So what’s next for this Middlesbrough side? Despite the eventual disappointment it has still been a brilliant season and Boro have over achieved. However this summer could prove to be a busy one as no fewer than 9 first team players are out of contract. Matthew Bates, Barry Robson, Tony McMahon, Justin Hoyte, Malaury Martin, Bart Ogbeche, Jonathan Franks, Jonathan Grounds and Danny Coyne are all free to leave this summer on Bosman free transfers. Robson has already agreed a pre contract with Vancouver Whitecaps in the MLS whilst the others don’t look like been offered new deals by the club. Bates, Robson, Hoyte and McMahon have all played over 30 league games this season and Robson was named Player of the Year. Next season could be a rebuilding year for Boro with reinforcements needed but with limited funds available. This may result in Boro looking towards the future by signing younger players or looking further down the leagues for players with potential who can be sold on at a profit. Reported interest in Darlington’s John McReady, unknown defender Christian Burgess who failed to make the grade in the youth ranks of Arsenal and West Ham and with Mowbray spotted at a League Two game last weekend indicates this could be the case. Next season will also be a big year for a batch of promising youngsters coming through the ranks of Middlesbrough’s famed youth academy. The likes of Curtis Main (signed from Darlington last season), Andy Halliday, Adam Reach, Cameron Park, Luke Williams, Ben Gibson and Bruno Pilatos will all hope to make their mark next season. Whilst it has been a largely successful season, Middlesbrough will need to invest heavily to replace the out of contract players and also hope that the young lads can make the huge step up to first team level. However if Boro can retain their better players and supplement that by adding more who can make an impact then there is no reason why they can’t finish in the top 6 next season. UTB.